Join Tiny World Tours as we spend 6 days / 7 nights exploring some of the world's oldest and most untouched treasures. Nested between Israel and Palestine, Egypt, Syria, Iraq, and Saudi Arabia, Jordan is thought to sit in the center of where great civilizations first started. You will feel yourself in the presence of thousands of years of history and will be able to imagine yourself back in time. 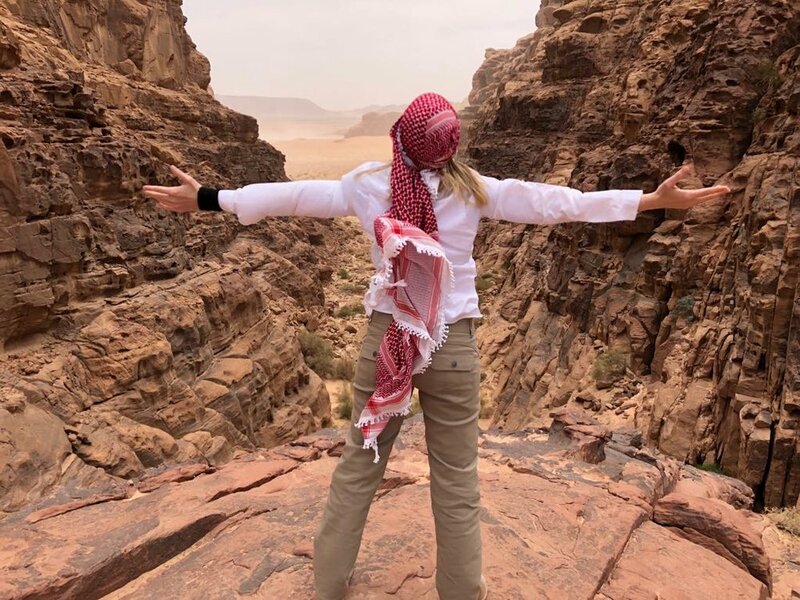 One focus of this tour will be the natural aspects of Jordan including the Dead Sea, the Red Sea, the famed Wadi Rum Desert, and majestic Petra. 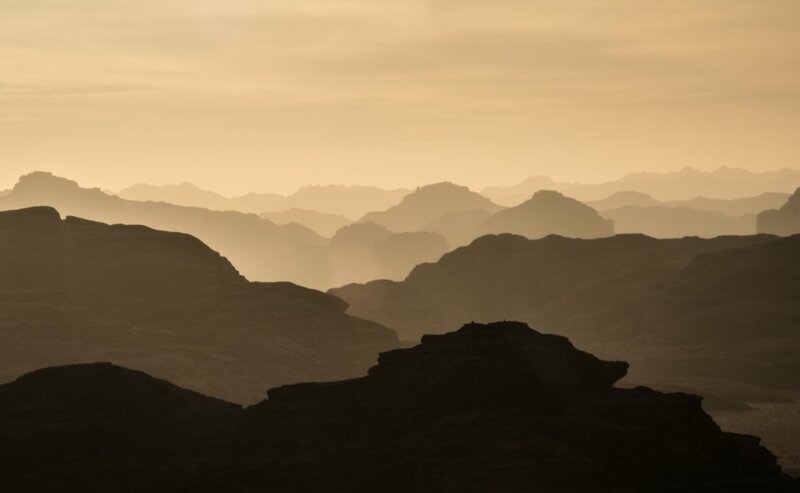 We will be going on extended hikes around numerous parts of the country including Petra where we will embark upon a historic western-religion pilgrimage to the peak of Jabal Haroun, also known as Aaron's Tomb - the alleged burial place of Aaron, brother of Moses from the bible. From the top of this peak we will look out into Jordan, Egypt, Israel, and Palestine. As a bonus, you will learn to properly tie a kaffiyeh! Transfer to Amman airport and fly home (or to your next destination). Explore the Wadi Mujib Nature Park and visit the Dead Sea. 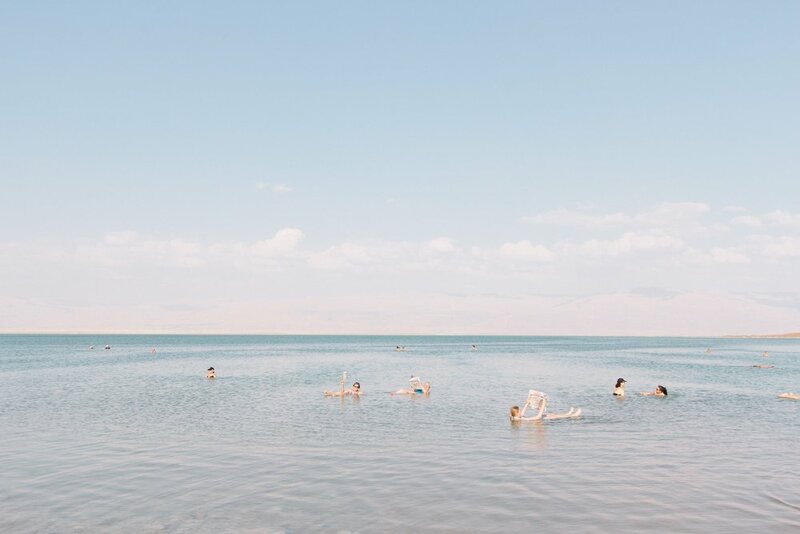 Take a dip in the Gulf of Aqaba on the Red Sea in Jordan's southern most city, Aqaba. 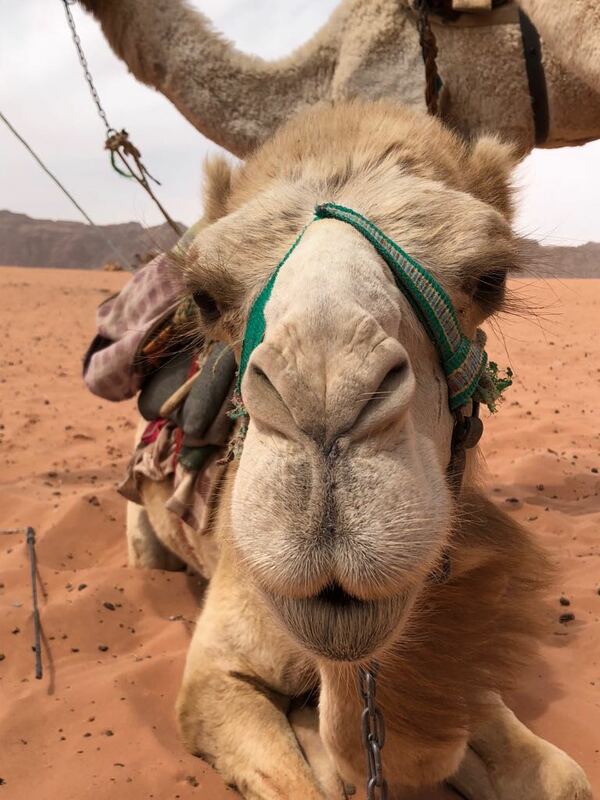 Meet with local Bedouin guides and ride camels and horseback across the Wadi Rum desert. 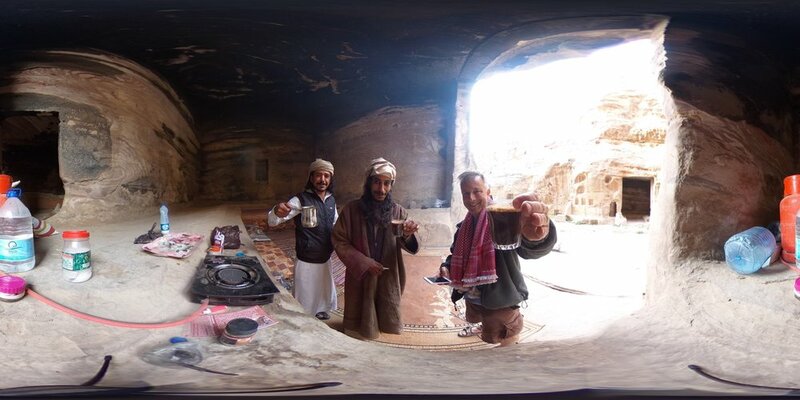 Enjoy Petra in all of its glory. Horse, donkey, and camel riding throughout the park is available upon request. * itinerary subject to change according to unforeseen circumstances / opportunities. On this itinerary, B=Breakfast, L=Lunch, and D=Dinner included. Exact dates and cost are to be determined. If you’re interested, please pre-register using the link below and you’ll be among the first to receive information and the opportunity to register. 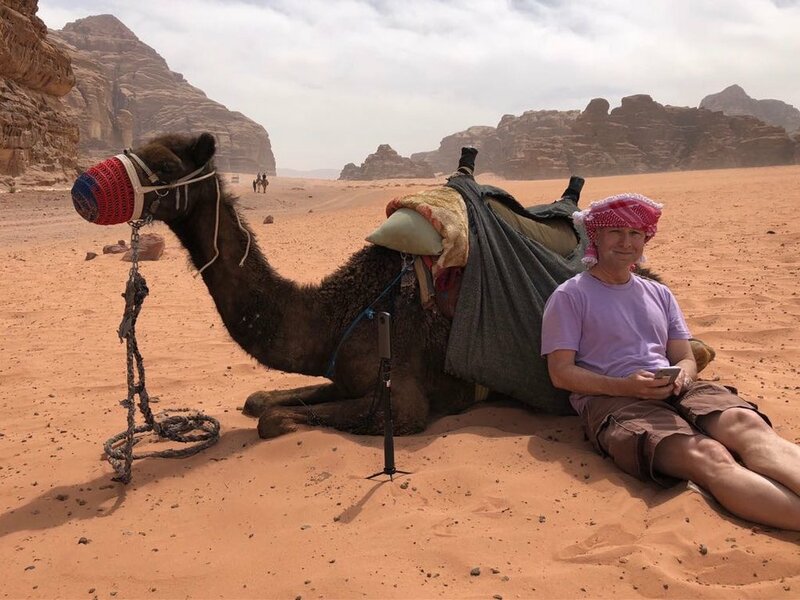 If you’d like us to design and arrange a custom Jordan tour for you, please indicate that along with your preferred travel dates in the pre-registration email. The single supplement is $500 (for single travelers requiring their own room). Click Here to Email Your Interest and Register with a $200 Early Bird Discount!